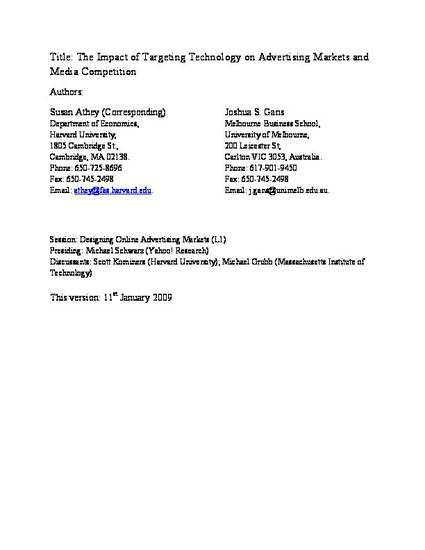 This paper examines the impact of geographic targeting technology on local advertising markets when local and general media outlets compete for readers. In a base case, it is demonstrated that when the general outlet adopts such technologies, this does not impact on advertising prices or profits as that outlet expands ad space to meet demand. When wasted impressions are costly or there are advertiser capacity constraints that create competition between outlets for advertisers, this conclusion changes and there is a positive return to targeting. This adoption is likely to adversely impact on local outlet profits.